Fresh Non-GMO Soy-Free Cattle Feed Promotes Herd Health Without Potential Allergens. People with soy-related sensitivities and allergies are increasingly choosing soy-free meats. In our mill we produce a soy-free version of our original recipe for cattle feed that eliminates the potential for allergens in your beef. Our soy-free version of our fresh cattle feed is also processed from non-GMO whole grains, organic mineral blends, and proven recipes. 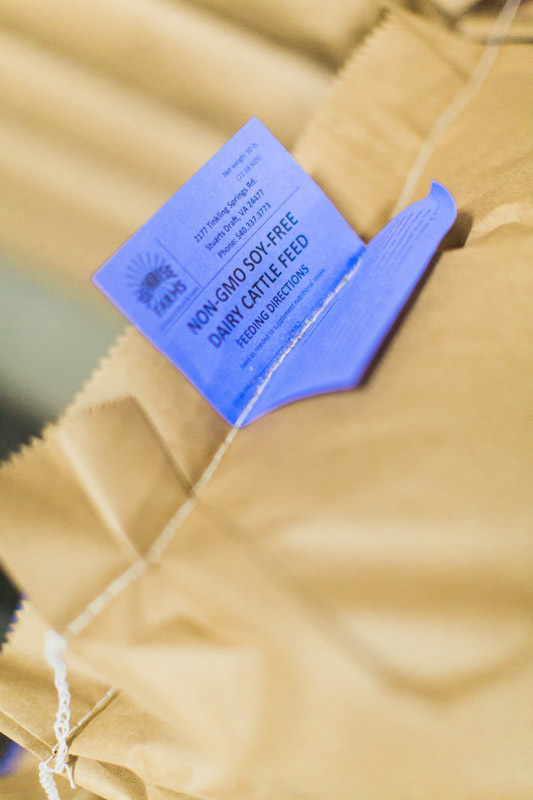 Our soy-free cattle feed contains no by-products, no added hormones, no antibiotics, and no medications. Our on-site mill allows us to adjust the coarseness of the feed to your specifications. 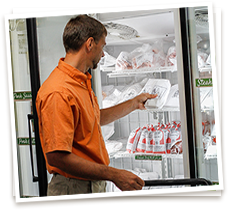 We Exceed Federal Regulations To Produce Trusted Feed. Our facility submits to regular inspections to maintain full compliance with federal standards. Our operation typically exceeds federal standards due to our efforts to align our farm practices with our values of excellence through service. Sunrise Farms also produces non-GMO custom feed to suit your needs. Our soy-free cattle feed also doubles as non-GMO soy-free goat feed to support healthy goat growth without the potential allergens. Buy Sunrise Farms Non-GMO Soy-Free Cattle Feed From Four Purchasing Options. 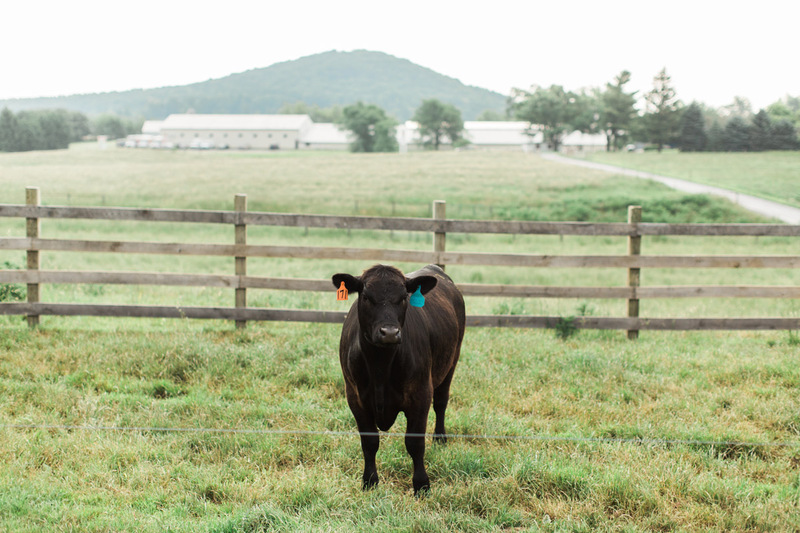 Throughout Virginia regional dealers carry our non-GMO soy-free cattle feed. Look for the Sunrise Farms label. 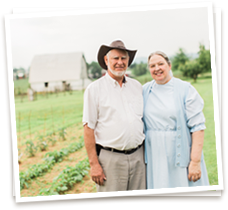 Purchase feed in all quantities directly from Sunrise Farms at our storefront, conveniently located just 3.5 miles off I-64 at exit 91. Call ahead for processing of your non-GMO feed order to be ready for pick up. Also available for door-to-door service are regional feed delivery and feed shipping throughout the contiguous United States. Feed is sold in 50lb./22.68kg bags and by the ton. Peas, Oats, Corn, Linseed Meal, Alfalfa Pellets, Oil, Sodium Silico Aluminate, Dried Kelp, Salt, Di-calcium Phosphate, Mono-calcium Phosphate, Seashell Flour, Condensed Lactobacillus Fermentation Solubles, Magnesium Oxide, Potassium Magnesium Sulfate, Dried Saccharomyces cerevisiae Fermentation Product, Dried Aspergillus cryzae Fermentation Extract, Dried Fermentation Products of Lactobacillus acidophilus, Enterocuccus faecium, Lactobacillus casei, Lactobacillus plantarum, Calcium Carbonate, Yeast Culture, Dried Aspergullus niger Fermentation Extract, Sodium Selinite, Vitamin A Supplement, Vitamin D3 Supplement, Vitamin E Supplement, Vitamin B12 Supplement, d-Calcium Pantothenate, Niacin, Thiamine Hydrochloride, Riboflavin, Folic Acid, Polysiccharide Complexes of Zinc, Manganese, Iron, Copper, and Cobalt.. Contact Us For Non-GMO Soy-Free Cattle Feed Today.